8 new meshes - 2 each of 4 meshes. Each mesh has a mirrored version. 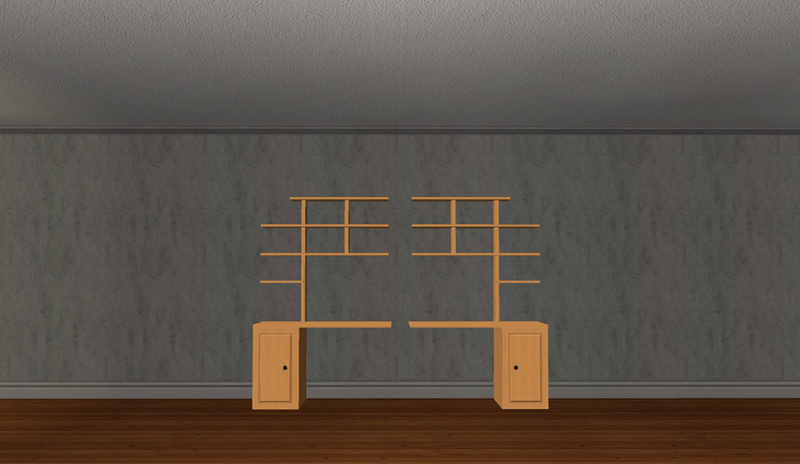 All meshes EXCEPT the desks have 2 subsets. 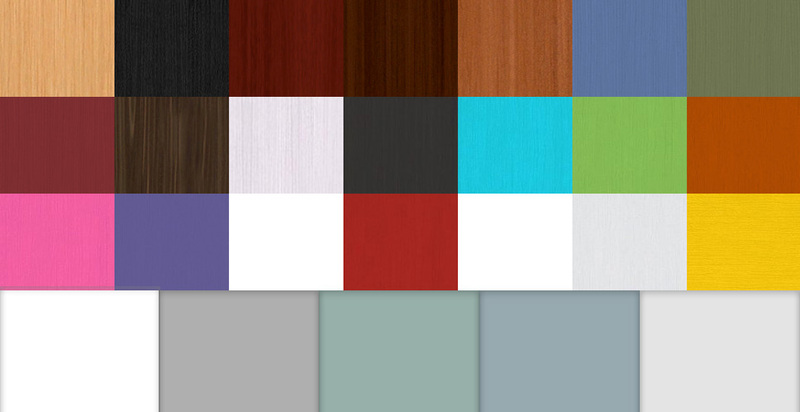 18 wood recolors and 4 glass recolors. The recolors are separate packages so you can delete 1 or more in game if you'd like with no problems. The repository technique was used. The files are clearly named so you'll know which mesh is the master and which share it's textures. No cheats are needed to place any of the meshes. Sims will not walk through the meshes. Computers placed on either desk work as expected. Each mesh has slots. These range from 8 (the desk cubbies) to 15 (master mesh and it's reversed version. 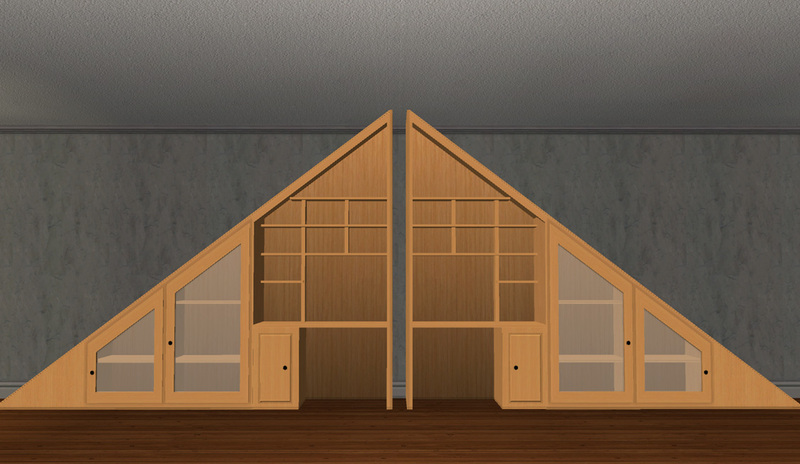 Objects placed on the slots can be recolored with the design tool and/or picked up/deleted without any problems. 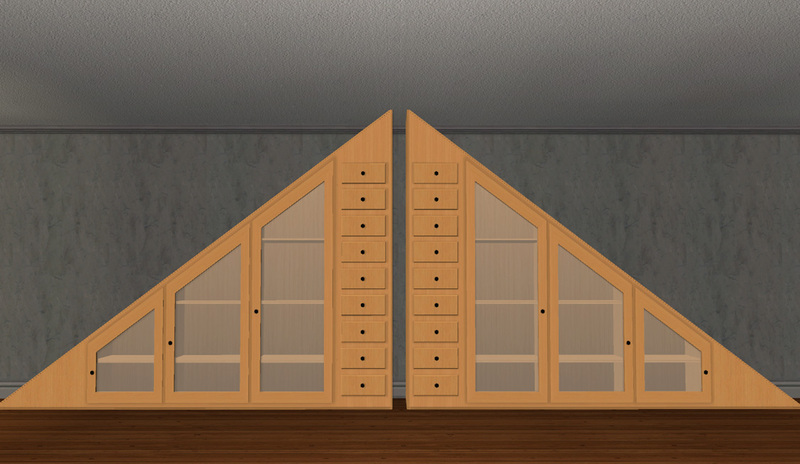 If you would like to use any of these as a dresser, you can. 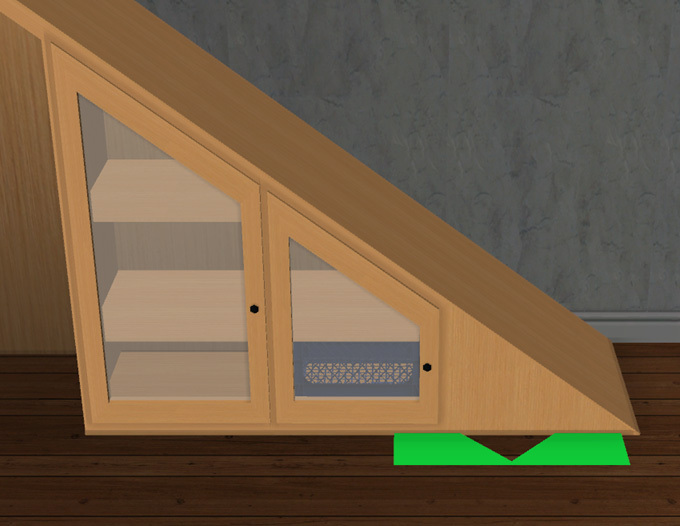 If you have Merola's Pile of Clothes Dresser (or any mesh like that), you can place it on one of the shelves. You WILL be able to click on it to have your sim change clothes. Even if it's behind glass. These are sized to fit under MODULAR STAIRS that are OPEN UNDERNEATH. 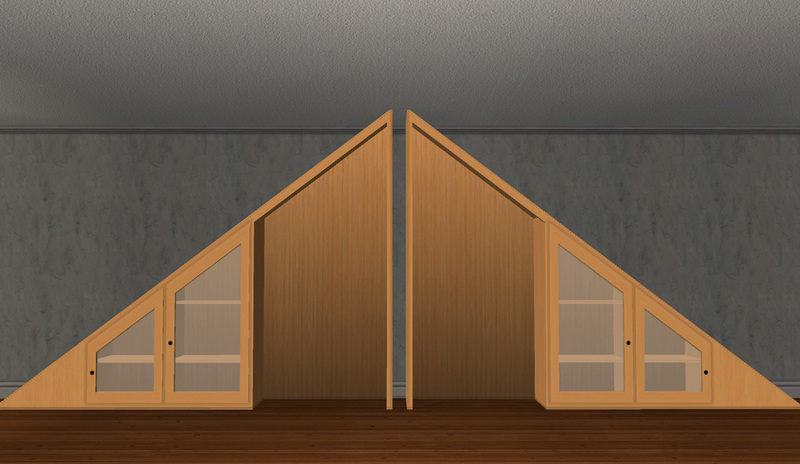 That said, they will fit under open underneath staircases but the fit will not be perfect. 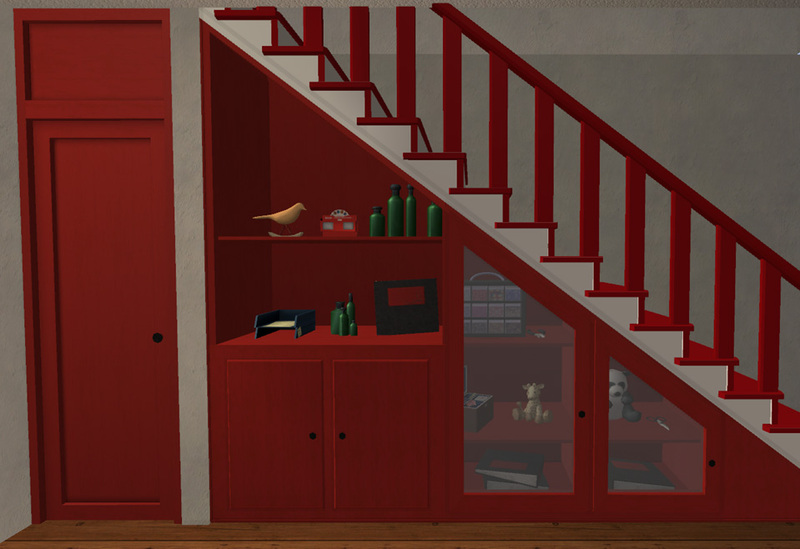 If you need some or more open underneath modular stairs, you can find quite a few by doing a search here for "open underneath". 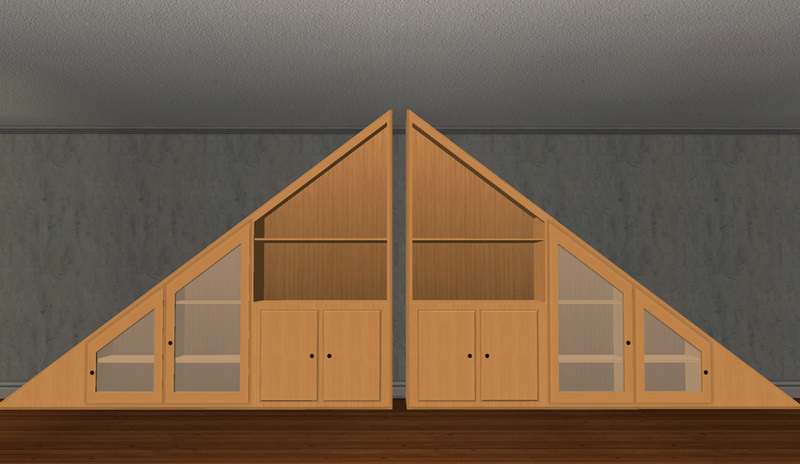 A residential collection file is included! 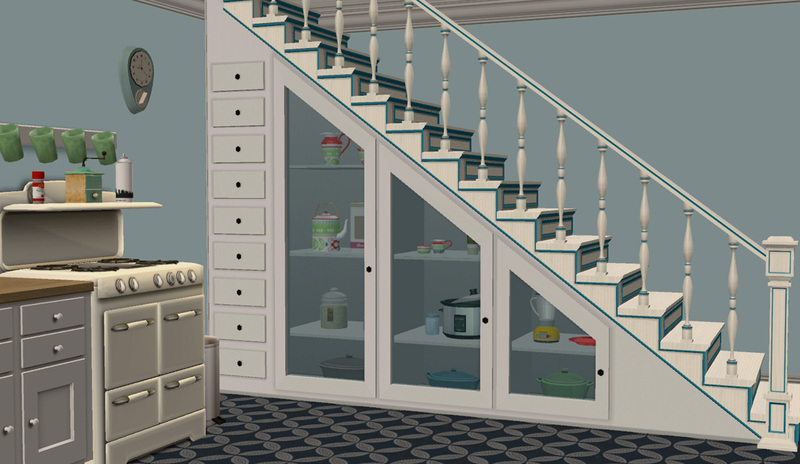 Kitchen Storage in matching textures. Everlasting-Garden has converted this to TS3! Help! 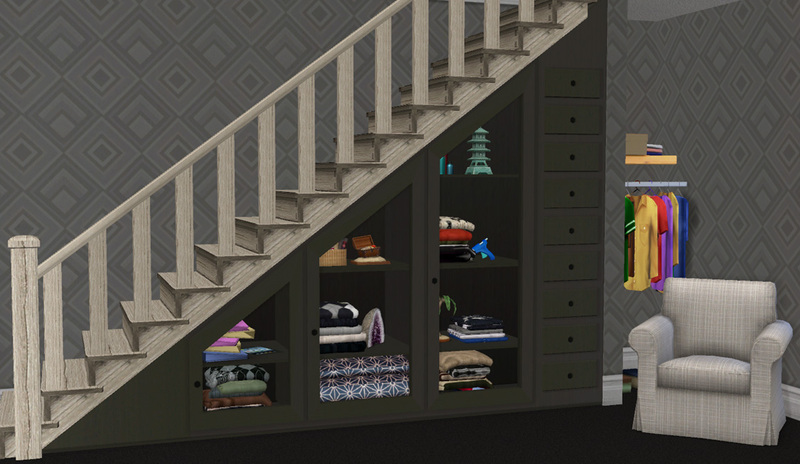 These meshes won't place under the stairs OR they will place but can't be used!! 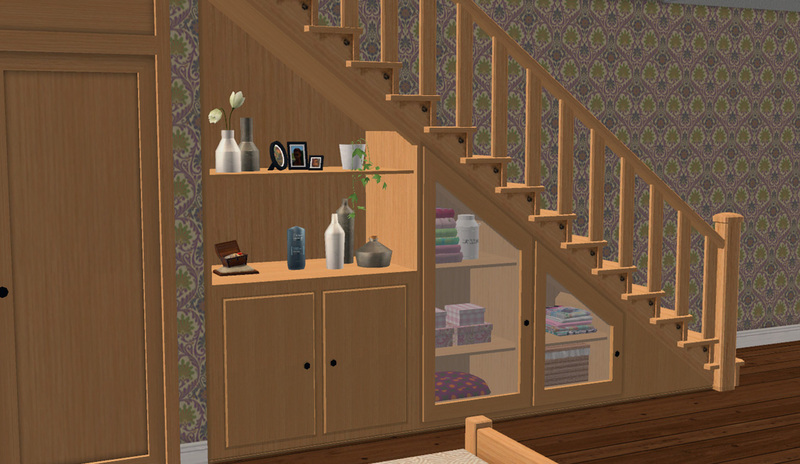 There IS an answer for this and here it is: Any modular stair you use must allow objects placed under the first tile (the top step) to be used. (Numenor, Reyn and HugeLunatic all make modular stairs that allow that. 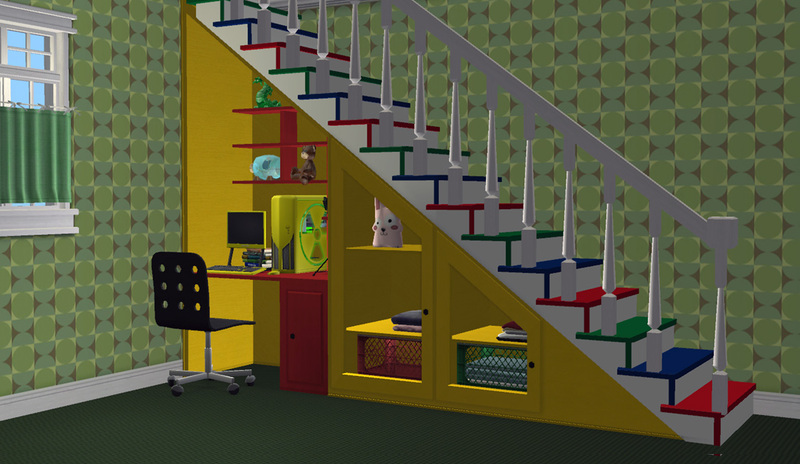 There may be more than that, I'm not sure and don't plan to test every cc modular stair available!) This might apply to staircases, too- I'm not sure because I don't use staircases and haven't tested it out. The screenshots showing the meshes will tell you which meshes are which. 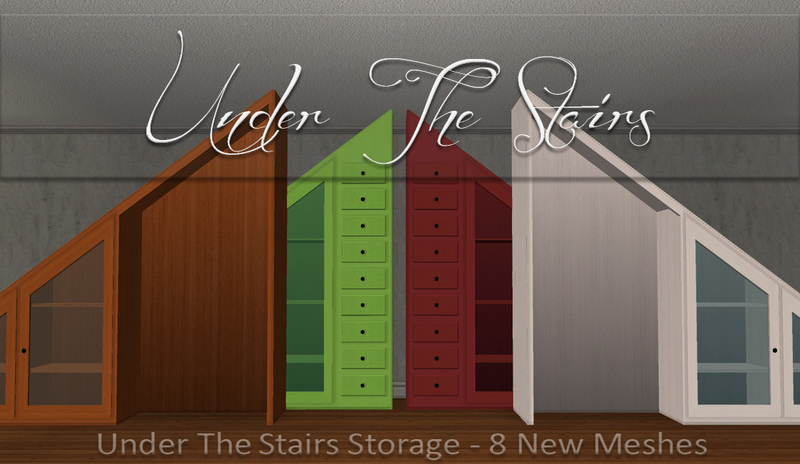 MLC-UnderstairsStorage.rar | Description: All meshes and recolors. Full Range Shiftable OMSPs - Closer than we've ever been!